Print templates out. Cut them out. Take a piece of construction paper and fold it in half. Glue scarecrow and word template to front of card. Color some leaves on the inside. Let the kids do this easy craft for the Fall season. Use our Fall Sunday School Lesson with this. 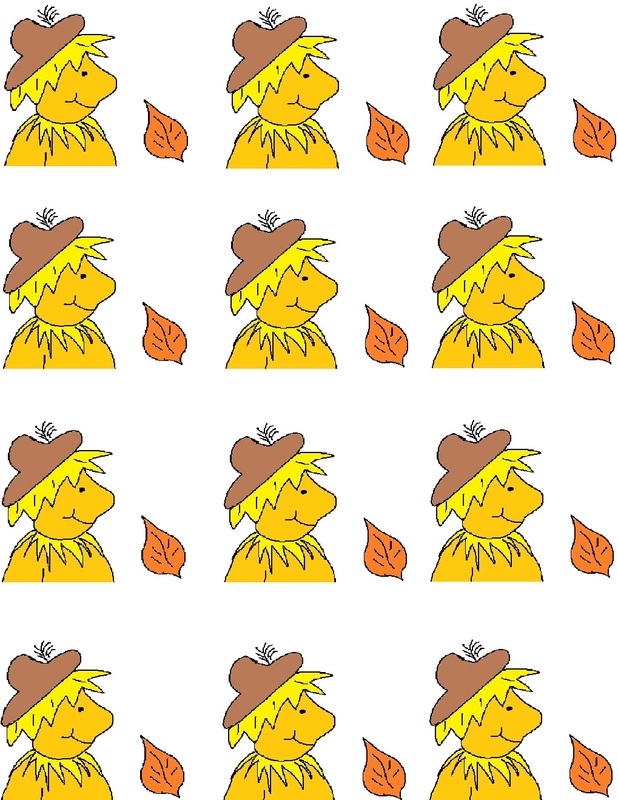 It has Fall Coloring page, Fall Maze, Fall Word in Word, Fall Snacks For kids and so much more. We have more Fall Crafts. 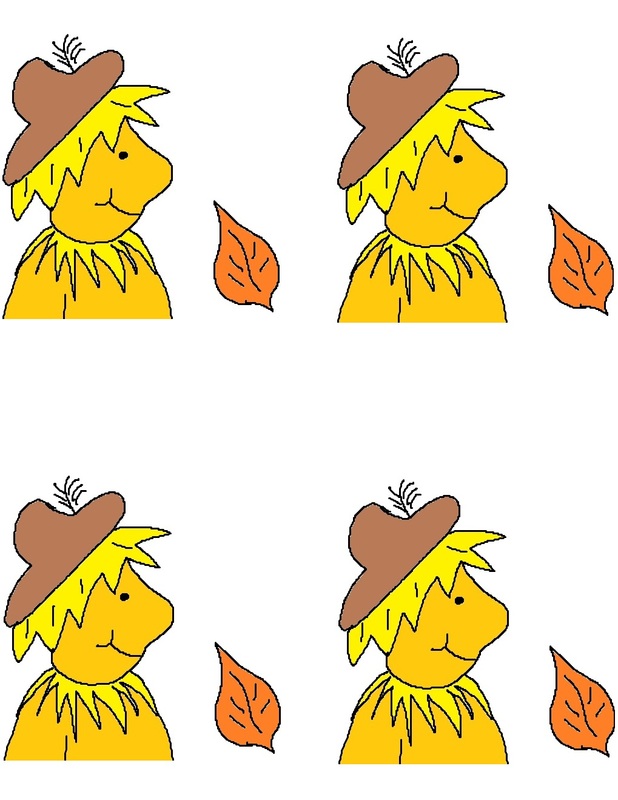 We have Fall Festival Ideas for church and fun Fall snacks and scarecrow and candy corn templates to go with it. We also have other Sunday school lessons that comes with fun and unique Bible Recipes for you Sunday school or Children's Church class. 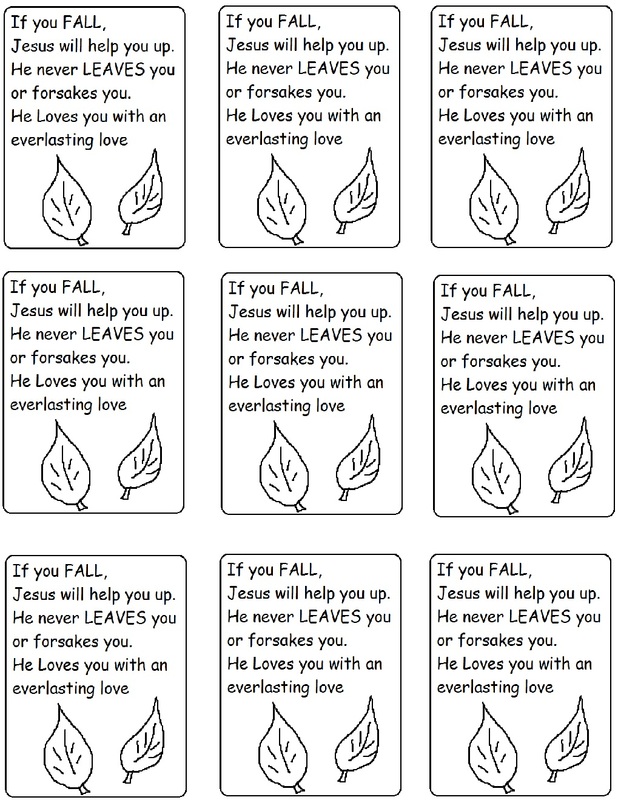 Free Bible Clipart and printable puzzles to print out. 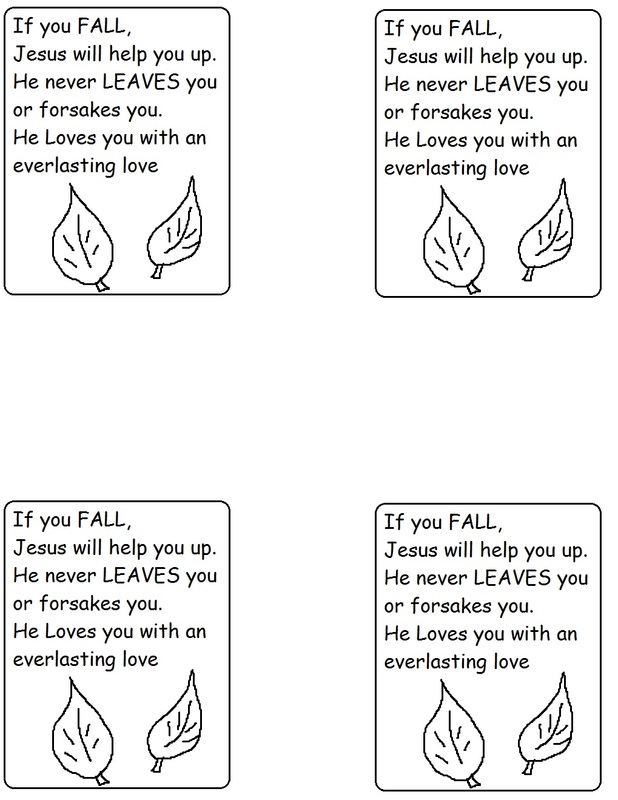 Print out some of our Bible Coloring Pages.